As much as it depresses me to admit it, especially after the two weeks of balmy, summer-like temperatures we just had here in the Hudson Valley, it looks like we’re in for a cold weekend. But don’t disappear into your blanket cocoon just yet, because nothing helps to keep out the chill like a strong, boozy, winter cocktail. Don’t get me wrong – no one is saying you can’t drink a Manhattan on a 90-degree day, but sweating profusely over a glass of bourbon is as deeply unpleasant as it is a great way to give yourself a headache. Cocktails like the ones I’m about to mention are best enjoyed while sitting by the fireplace after shoveling the driveway or after a long day of cross-country skiing. Anyway, without further ado, and in no particular order, here are 5 cocktails that are perfect for when it’s too cold to do anything but sit inside and have a drink. Having been around since the 1800s, the Manhattan is about as classic a cocktail as you can make. There’s a lot of debate about which whiskey and which vermouth make the best Manhattan – some swear by rye whiskey, while others use bourbon for a slightly sweeter cocktail. Then there’s the question of whether it’s wasteful to make a cocktail with top-shelf whiskey. The bottom line is cheap whiskey won’t ruin your Manhattan, but good whiskey will make it that much better. I stumbled across this cocktail while researching variations on the Manhattan, and by the time I finished drinking my first Suburban, I continued to stumble for the rest of the night. This heavy hitter got me through the brutally cold winter of 2014 and is still one of my favorites. Hot Buttered Rum might be the quintessential winter cocktail, right after Robitussin in Gatorade and Swiss Miss hot chocolate with peppermint schnapps. While it’s delicious in its classic form, the nice thing about it is that you can replace the rum with pretty much whatever brown spirit you have in your cabinet. This spicy cocktail is especially effective at getting the chill out if you use a good, spicy ginger beer, like Reed’s Extra Ginger or Natural Brew Outrageous Ginger Ale. While not for everyone, Lagavulin is undoubtedly one of the quickest ways to warm up on a blustery winter night. This cocktail is by far the most challenging on this list to make, so read the directions carefully. Is your favorite winter cocktail missing from this list? Let us know in a comment or give us a shout on Facebook or Twitter! This bottle was full when I started this review (just kidding, I am still able to type). In addition to that, the label for this rum is based on the original bill of lading from the Roggen brothers’ mercantile, which was reproduced with the help/permission of the Huguenot Historical Society, according to Don, our sales representative for Tuthilltown Spirits. And with all that said, it’s time to taste this rum; but first, here are some specifics. Aging: Aged in new and former whiskey casks; no age statement. This rum is a slightly cloudy deep golden color; on the glass, its legs are numerous and move at a moderate pace. Charred oak, butterscotch, black peppercorns, and a hint of apple pie spice. Okay – when I said it was “time to taste this rum,” I half lied. I’ve tasted this many times before, so what I meant was, it’s time to enjoy a hefty pour of one of my favorite spirits. 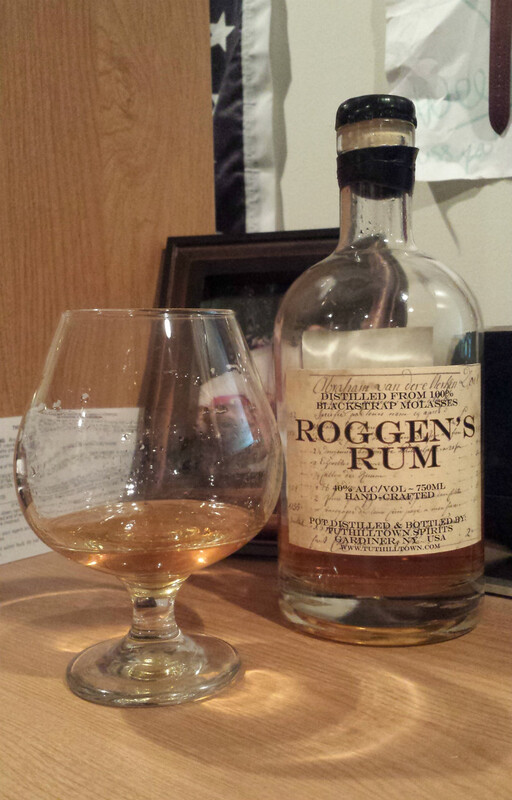 When I first tasted Roggen’s Rum, I could have mistaken it for a bourbon – whiskey barrel aging imparts a very whiskey-like taste to this spirit. The molasses, however, delivers a pleasant musty sharpness that you could either associate with rum, or, as Tuthilltown Spirits suggested, Cognac. This is nowhere near as sweet as many of the South/Central American and Carribean rums I’ve tasted. 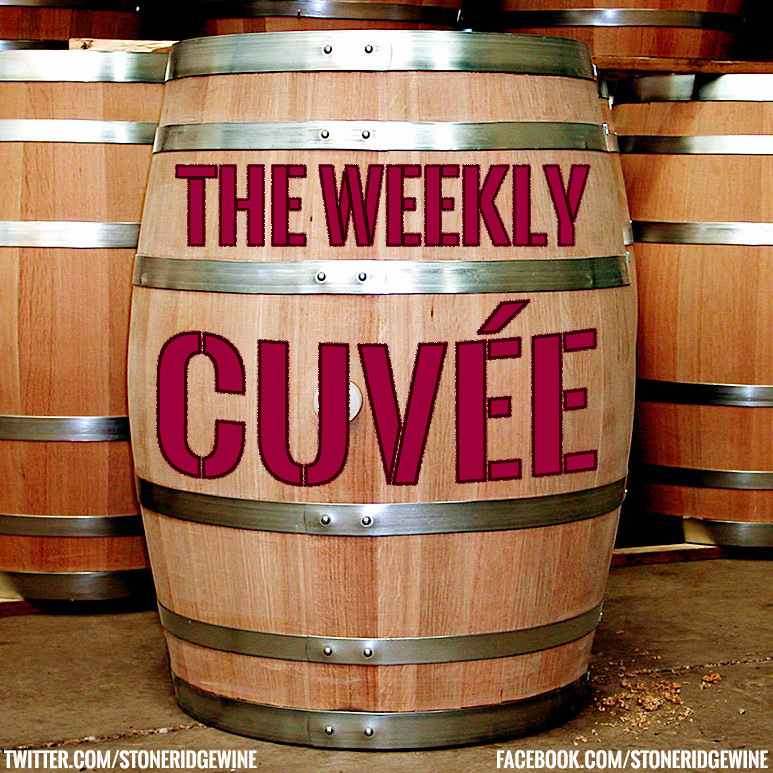 Tasting notes include charred oak, red pepper flakes, grape must, and burnt sugar, with an incredibly long, oaky finish. I have yet to try a product from Tuthilltown Spirits that I wasn’t impressed with – I even love their vodkas, and I am not normally the biggest vodka fan. This is a rum for a diehard bourbon drinker – it’s dry, smoky, and spicy, and at 80 proof, it’s not too fiery to drink neat. While I personally prefer it on its own (or with a cigar), I have a feeling it would do wonders for a Suburban.